Caption - The line from Kliplaat to Oudtshoorn saw very little daytime traffic. All trains were workd by 19Ds sometimes in pairs. 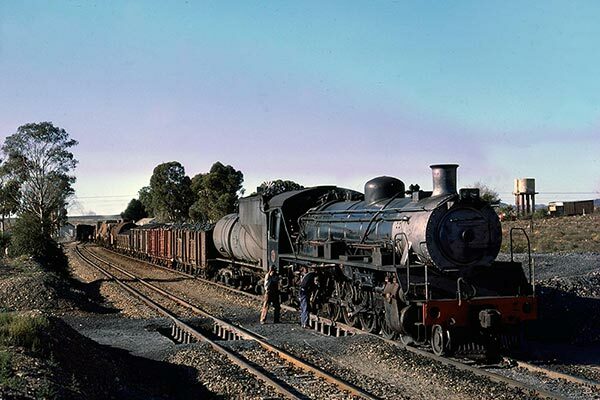 This image taken in June 1978 shows # 3326 with a long Vanderbilt tender working the Kliplaat to Oudtshoorn goods at Miller.